Ahead of the film’s debut this Friday, we’ve got an exclusive new clip from The Conjuring 2 and let’s just say someone has come over for play time. Check it out in the player below! 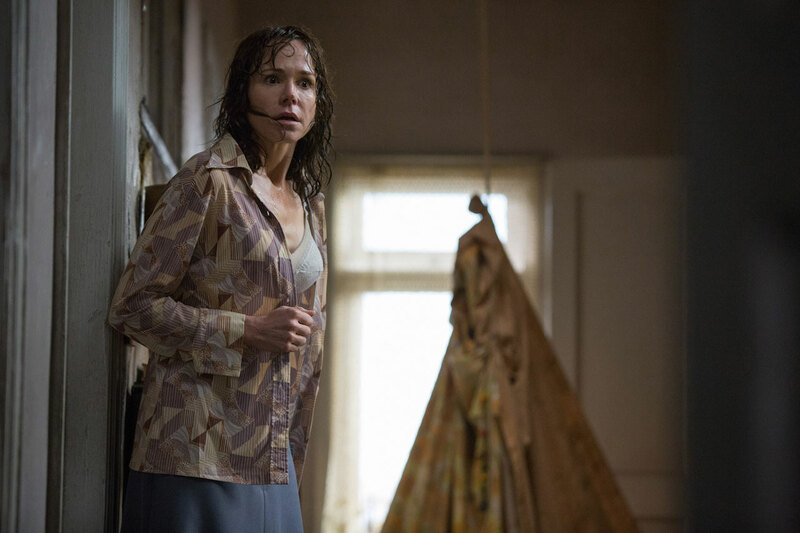 The June 10 release once again has James Wan (Furious 7) at the helm following the record-breaking success of The Conjuring, bringing to the screen another real case from the files of renowned demonologists Ed and Lorraine Warren. Oscar nominee Vera Farmiga (Up In the Air, Bates Motel) and Patrick Wilson (the Insidious films) return as the Warrens, who, in one of their most terrifying paranormal investigations, travel to north London to help a single mother raising four children alone in a house plagued by malicious spirits. The film follows the phenomenal worldwide reception of Wan’s The Conjuring, which marked the largest opening ever for an original horror movie. The film went on to make more than $318 million worldwide and still remains the second-highest grossing original horror movie of all time, second only to The Exorcist. 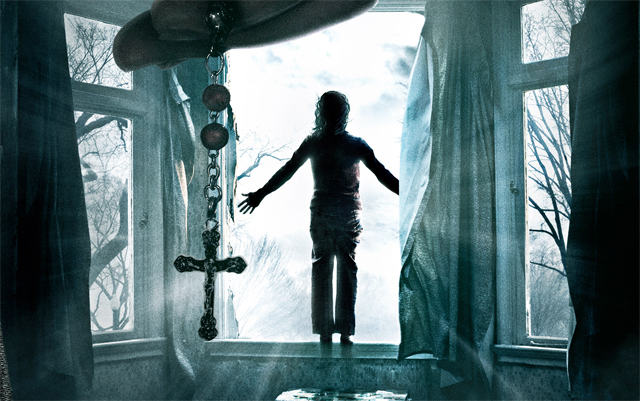 Rounding out the cast of The Conjuring 2 are Frances O’Connor (The Missing) as the single mom, with Madison Wolfe (Zoo) and newcomers Lauren Esposito, Patrick McAuley and Benjamin Haigh as her children; Maria Doyle Kennedy (Orphan Black); Simon Delaney (Roy); Franka Potente (The Bridge); and Simon McBurney (Mission Impossible: Rogue Nation). The screenplay is by Chad Hayes & Carey W. Hayes & James Wan and David Leslie Johnson, story by Chad Hayes & Carey W. Hayes & James Wan. Peter Safran and Rob Cowan, who previously collaborated on The Conjuring, are producing. The executive producers are Walter Hamada and Dave Neustadter.